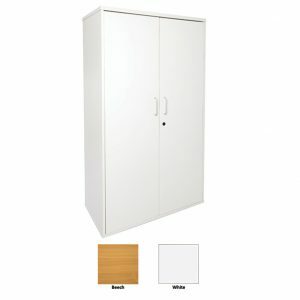 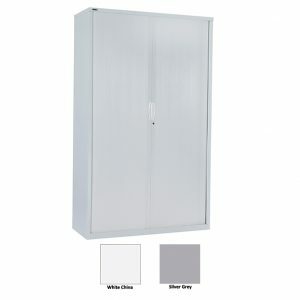 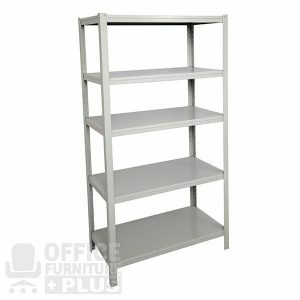 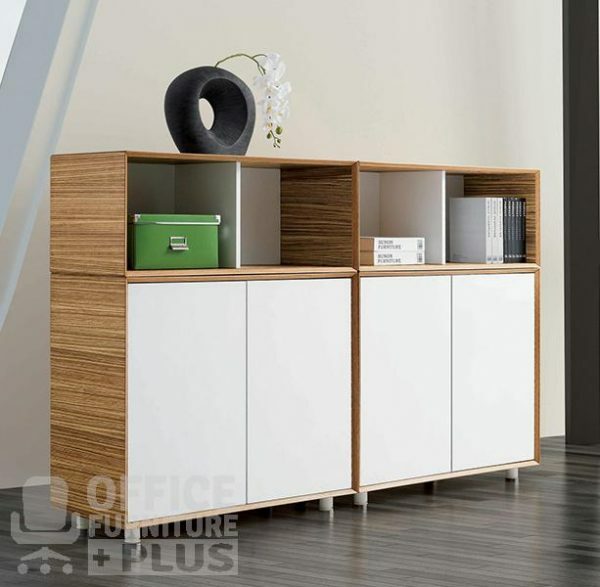 The Evolution Cabinet is very versatile. 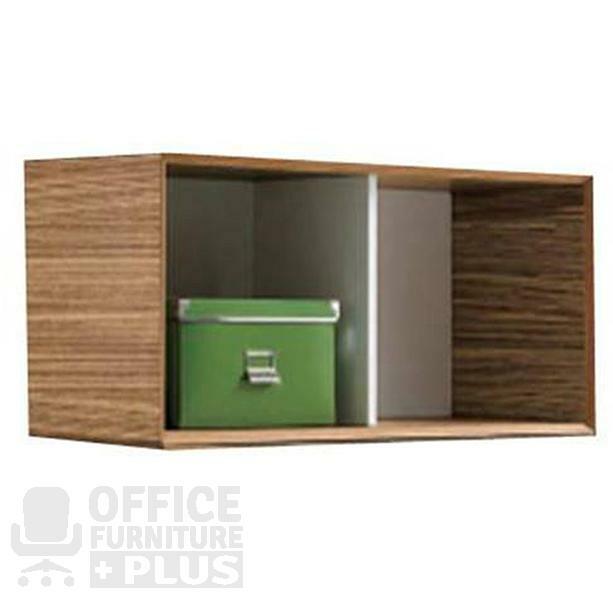 You can combine the bottom and top cabinets to create a variety of settings. 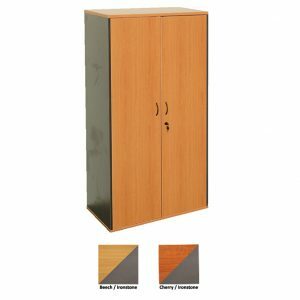 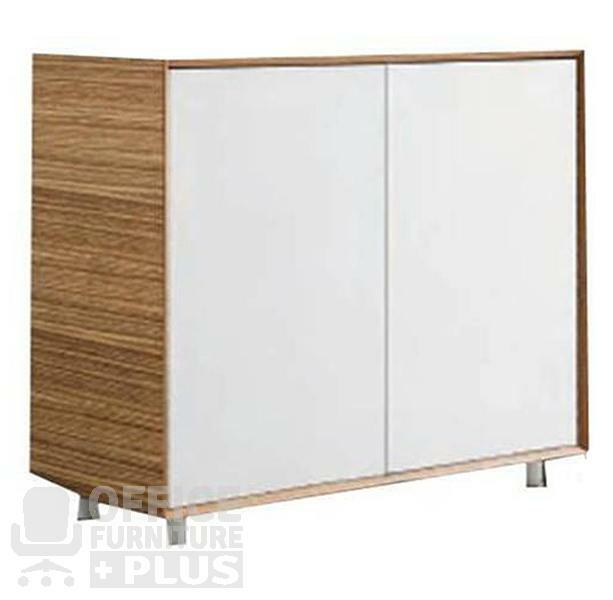 The bottom cabinet is Zebrano timber veneer with white melamine doors and aluminium feet. 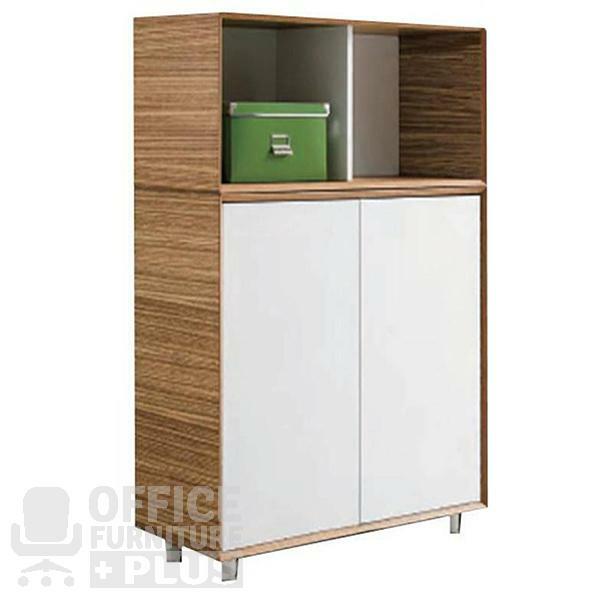 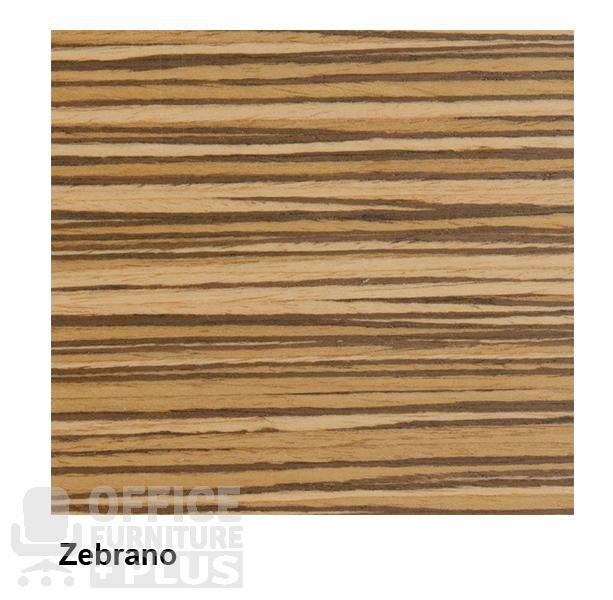 The open top cabinet is Zebrano timber veneer with a white melamine divider.